The purpose of my blog post today is two-fold ... First, from the perspective of the world's view, to simply comment on my initial thoughts about what happened in California on Wednesday. Secondly, as always, I can't help but view events such as this from my Biblical worldview, and I am seeing how it is effecting our American men. Like you, I am reeling from the terrorist shooting in San Bernardino. While politicians, Federal law enforcement, and the media tiptoe around the motive behind the killing spree, I believe the American people are less hesitant to see the connections between what happened on that day and radical Islam. Perhaps our Western mindset and our over-reliance on political correctness wishes to see workplace violence instead of admitting that a radical, fundamentalist ideology is alive and growing in the midst of our heartland. But are we really expected to deny the aspect of premeditation in the presence of body armor, pipe bombs, and a home that was an alleged IED factory set to be detonated by remote-control cars? And what about the trips to Pakistan and Saudi Arabia in the recent past? It will be interesting to see if the authorities release the internet history of the suspects and be willing to be transparent in connecting the dots. (Even now, the media is leaking that they searched ISIS propaganda websites). Then there is the quote from the father of the prime suspect (Syed Farook) who said he hadn't seen his son in some time: “He was very religious. He would go to work, come back, go to pray, come back. He’s Muslim.” I found it interesting to read an article by Walid Shoebat, a former jihadist who converted to Christianity. He said it is difficult for the Western mind to read "the signs" of a terrorist; something that he is all too familiar with. 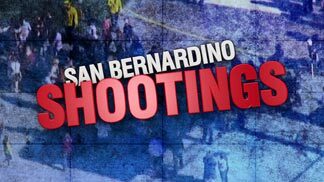 Therefore, he is not surprised that American officials and law enforcement are hesitant to label San Bernardino as the site of a terrorist attack. But he also states that it will be difficult for our security services and law enforcement to thwart Lone Wolf attacks like what was executed on Wednesday. "[This] will soon be realized in the West... ISIS now is heavily promoting this [Lone Wolf] agenda on social media. A lone wolf is not only a very ordinary person living in the community as a member, they also behave like them in that they do not have any unusual activity or act suspicious. They are encouraged to cover up any sign of religious affiliation and are encouraged not to pray or become a member in a mosque, or keep a low-profile in the mosque. They do not belong to any form of criminal or neurotic gang. They are away from the eyes of observers as being a member of a terrorist organization. These [people]are perfect for ISIS." Shoebat goes on to say that U.S. terrorism task forces have moved from drug busting into terror busting, and now must think like a Muslim terrorist and know Islam inside and out.... something that is very difficult for our Western minds to fathom. So, there you have the physical world's perspective. But what about the spiritual component? As I consider the men of faith in my life, I see the struggle they wage with how they are to react to this tragedy on our home turf. I can only imagine how this affects young men like my nephew, who until now, have been able to immerse themselves in their college careers, with little or no need to make them concerned about a public and active shooter. This event is different than the various school shootings he would be aware of, in that these perpetrators are other than a mentally ill person who reacts to some psychological trigger. These shooters will most likely make the younger generation conscious that there are people who have deliberate evil intentions to steal their peace, kill innocent victims, and destroy how we Americans live our lives. That "age of innocence" has been marred, and the trusting faith that America is immune to such terrorist acts will now be tested. I have also seen good friends struggle with how our God expects them to respond if and when they are faced with such an attack. I can see them agonizing over a scenario in which their wife or child is a potential victim and if it's OK with God if they kill in defense of their family. That is a long-going and controversial debate among Christians. I asked my husband, whose first and middle name literally means "Peace-Loving Warrior" (PLW) how he views that debate and exactly what his name means to him; how does he see his obedience to God in light of that contradictory name? Here is what he told me ... an oft-quoted line from the Bible is John 10:10: The thief comes only in order to steal and kill and destroy. I came that they may have and enjoy life, and have it in abundance [to the full, till it overflows]. He says we need to read that in the context of the entire Tenth Chapter of the Book of John, which is known as The Parable of the Good Shepherd. Jesus is telling us that He is the Good Shepherd; the provider and the protector of the sheep who know His voice and recognize His call. Jesus reveals that He is the Door that leads to eternal life and anyone who enters through Him will be saved [and will live forever], and will go in and out [freely], and find pasture (spiritual security). But interestingly enough, Jesus also references "the thief who comes only in order to steal and kill and destroy." In the parable of the Good Shepherd, that thief is represented by a wolf. So, as PLW explained how he views his name, and how he thinks God expects men to obey, he said, "All of society are sheep; and as men, we are either the sheepdog, or we're the wolf. As the sheepdog, we are expected to protect those sheep who are helpless. But God expects us to not become so reactionary that we cross the line and become the wolf." So, PLW is simply saying, that as a Christian man, he has to walk that fine line between fulfilling his duty as a sheepdog, without disobeying God's command to never become the wolf. As for his name ... Peace-Loving Warrior ... he feels he has two options: God's first option is for him to be peaceful, but if that doesn't work, and the wolf is hell-bent on stealing, killing and destroying, then he will go into Warrior mode. He admits that the peace part of him is harder, and he can only accomplish that through his relationship with Jesus. But PLW is quick to assert that he does not believe Jesus was a pacifist, and he won't be, either. He also points out that the Warrior side of himself does not prohibit him from praying for those lone wolves and their salvation; but if they come to kill him or his family, they can expect to be resisted. He says that it is hard to find that line; where to be passive --- until it's time not to be. He just has to rely on the Holy Spirit to tell him where that line is. But as it pertains to the shooting in San Bernardino on Wednesday, my husband says his biggest fear is that, as a nation, we are being conditioned and desensitized; that we are becoming accustomed to a shooting every few days or weeks, so that (as the Bible says), "because of the increase of wickedness, the hearts of men grow cold" (Matthew 24:12). Remember that Jesus makes this statement in response to a question from the Disciples about when He would return and what would be the signs of the end of the Age. the Enemy's desire to steal, kill, and destroy? And how will the men of Christ respond? There is no doubt that those who killed on Wednesday were hell-bent on harvesting death and destruction, no matter what the "official" cause turns out to be. But I would also like to point out that no amount of gun control laws would have stopped that carnage. California has some of the strictest gun laws in the nation. But more importantly, those murderers are hell-bound because they were spiritually destitute, and did not know my God. Today my thoughts are with those families who lost loved ones, and my prayers are for the strength and endurance and courage of the American people to repent of our sins and turn to the One who can protect us and help us to repel this evil. Do not let our hearts be troubled; neither let them grow cold. Psalm 97:10 "You who love the LORD, hate evil; He protects the souls of His godly ones (believers), He rescues them from the hand of the wicked." Spot on. I work with those who are incarcerated and I have seen how God has been able to change the hearts of many men and transform them from their evil ways. 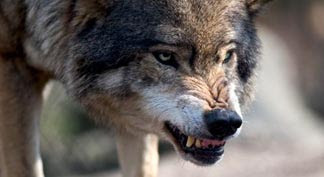 I also have get to interact with those who are wolves and would not hesitate to kill or destroy. After serving 29 years in the military I have also been able to see evil on a world wide scale. It breaks my heart to see what is happening in America...but until Christ returns I any many other Christian men must assume the mantle of "sheepdog". I am armed at all times (outside of the jail) and recommend other men of Christ to consider the same and get proper training. Thank you for commenting! You have a unique perspective, and in my mind are a true "Warrior for God". We need more men like you in this country to stand and proclaim the Glory, Power, Majesty, and Justice of Jehovah God. God bless you! Luke 22:36 And He said to them, “But now, whoever has a money belt is to take it along, likewise also a bag, and whoever has no sword is to sell his coat and buy one. You have said what the politically correct in this country are too weak and scared to say. But it needs to be said! And we must pray for those who believe in the lies of Satan; that their eyes, ears, hearts, and minds will be opened to the Truth that is Jesus Christ, the Holy Son of God. Thank you for saying it openly and honestly.